Material: Woven part: 100% polyester. Lace: 100% polyester. 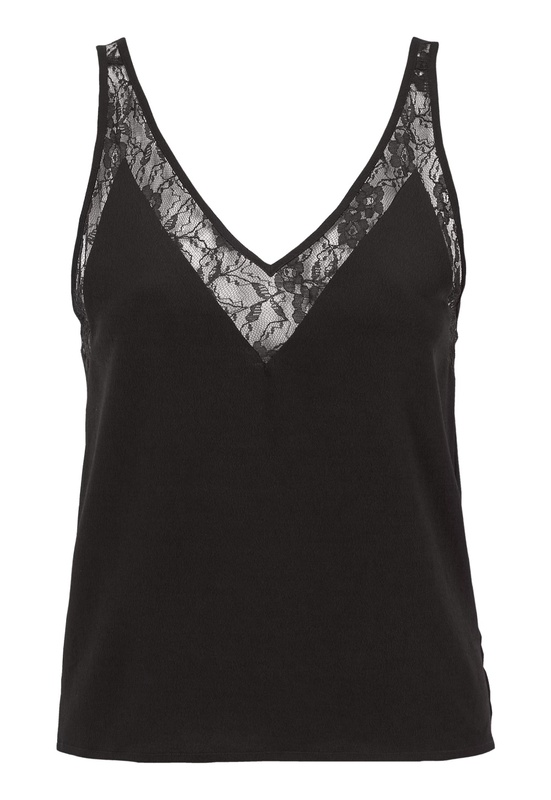 Feminine camisole from CHIARA FORTHI. The camisole has a nonelastic woven quality and has a lovely lace details that gives it that special touch. Total length of garment in size 36: 59 cm.